To sell or accept gift card, first you would need to enable gift card option under Settings -> General -> Gift Card. If you are selling physical gift card, make sure cards are printed with QR code or barcode. This would allow you to call up the gift card quickly using the iPad camera. Each QR code or barcode is representing a set of numbers, ensure all of them is unique. 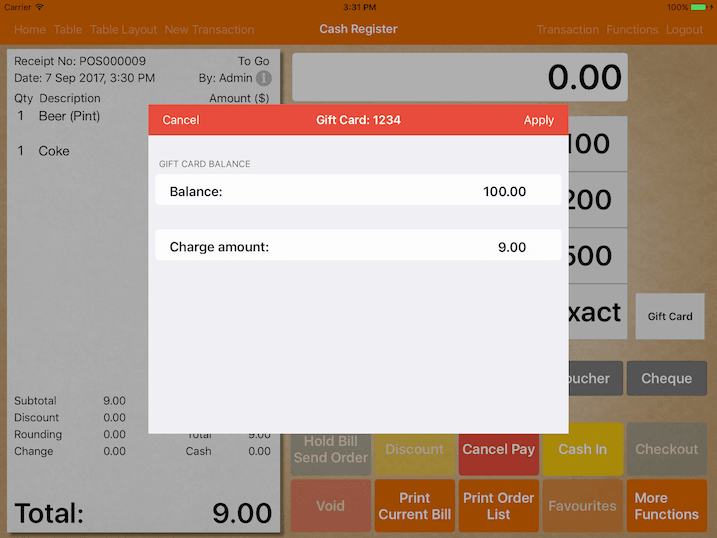 To activate a gift card, under Cash Register, tap on Functions -> Gift Card. Place the card under the iPad camera or use manual entry to key in gift card number. If gift card has not been activated, system will prompt you to activate it. 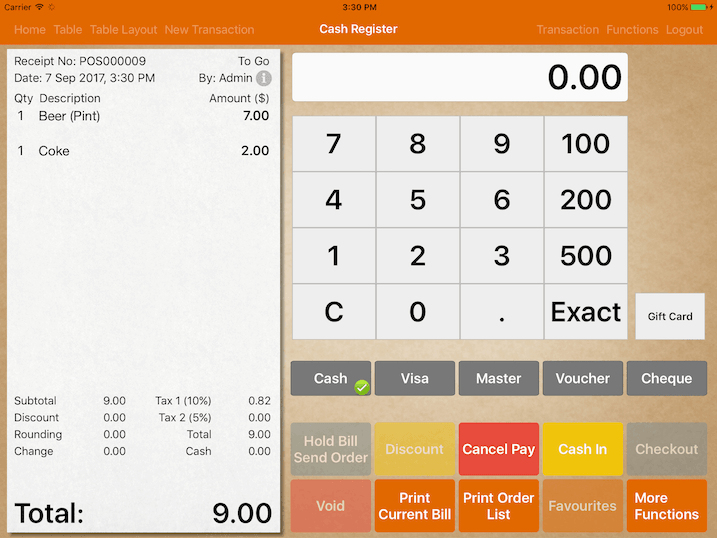 Once it is activated, card number will be registered in the POS system. 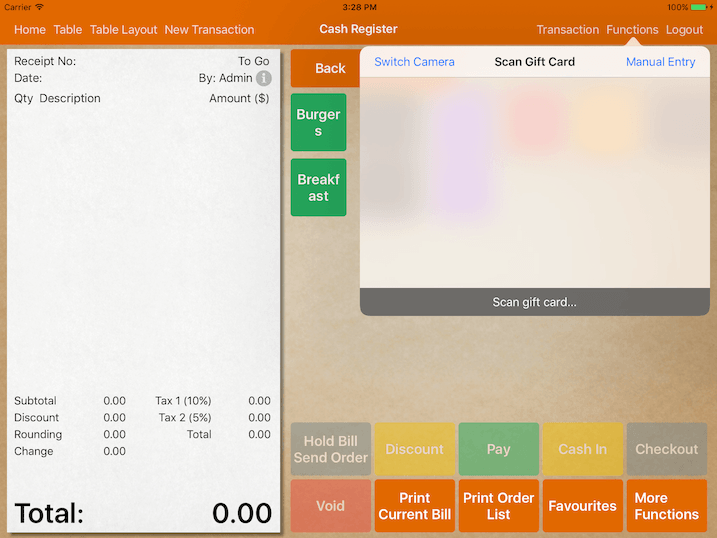 To top up a gift card, again go under Functions -> Gift Card and scan. 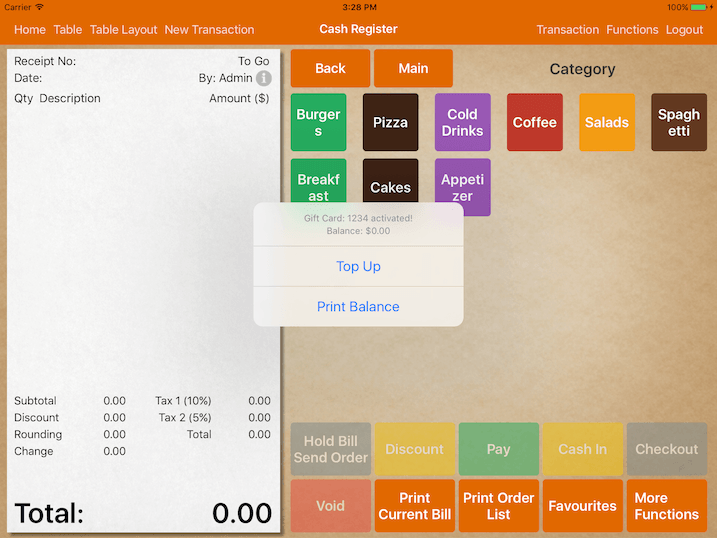 You will have the option of Top Up or Print Balance for activated card. 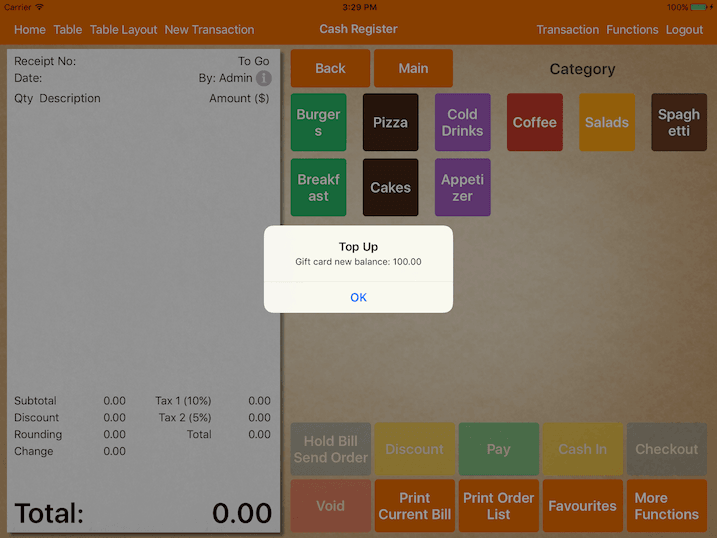 Click Top Up and select payment type. Enter the amount to top up. Upon top up, a receipt with gift card's balance will be printed. If gift card option is enabled, during the checkout process, gift card button will appear beside the number pad as shown in below screenshot. Click on the Gift Card button, scan card, a pop up will show if card has balance. Enter the amount to charge and Apply. Proceed to checkout if gift card balance is sufficient. As all gift card information is stored in the iPad. You are encouraged to email the application backup daily if you are not using CloudSync. If your iPad got stolen, you would still be able to recover all gift card's balances.